EUROPEA Czech Republic hosted delegates, teachers and students from 24 European countries during the EUROPEA meeting in May 2009. The meeting was hold at Golf Konopiště Resort. One part of the meeting was three student competitions: championship in floristic, agricultural skills and fishing. The main topic of the meeting was how to make agricultural education more attractive. During the meeting were discussed at lot of topics such as new European trends in regional teaching, how green is our green education or vocational training in agriculture department. 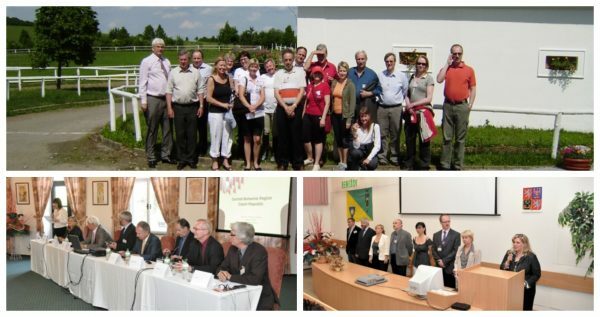 The participants were known with Czech regional education, history of agricultural education in the Czech Republic, new trends in European agricultural education and renewals in agriculture education and the future of EUROPEA International. 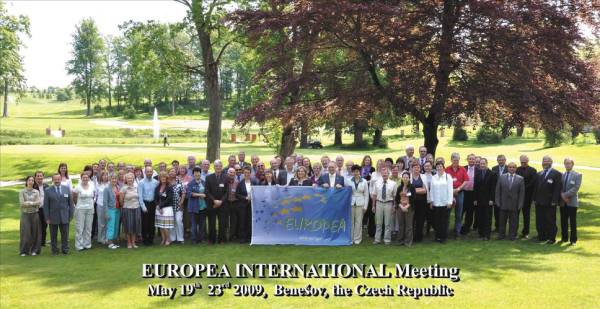 The participants visited the Konopiště Castle, Ferdinand Brewery in Benešov, Benice Horse Centre, Beef Cattle Farm Cunkov and Prague. Agricultural college and Agricultural secondary school in Benesov hosted the participants of “European championship in floristic” in May 2009. This floristic competition was a part of “European championship of the agricultural youth”, which was organized by Ministry of Agriculture due to Chairmanship of the Czech Republic by the association EUROPEA International. 18 teams were registered from 12 states of Europe. The teams were from Luxembourg, Finland, Sweden, Denmark, Belgium, Latvia, Netherlands, the Czech Republic, Poland, Estonia, and Slovakia. Each team consisted of two students with a company. Their competition commenced on 20 May by an official opening, and the first discipline “Arrangement to a container”. The containers were dedicated for decoration of the school. The second competition discipline was a surprise for all participants. This was related to arrangement of only one flower. The second day waited for the competitors the third task, respectively arrangement of a marriage bunch of flowers to the particular clothing and a bride. Each team selected by lot a photo of certain bride, for whom they arranged a bunch of flowers. Arrangement of the bunch of flowers was done only by one competitor. The second member of the team attended the last competitive discipline, respectively cognition of some plants. Task of the competitors was determination of genus and kind of plant material mainly from an area of floristry, park and herbology. All disciplines evaluated 6-member jury consisting of experts from the floristic field. Evaluation was organised according to exactly defined criteria. The whole championship culminated in the official premises of the Secondary Agricultural School in Benešov by overview of the bunch of flowers in the hands of the brides. Winners of competitors handed over appraisal from hands of the Minister of Agriculture at the Ministry of Agriculture in Prague.